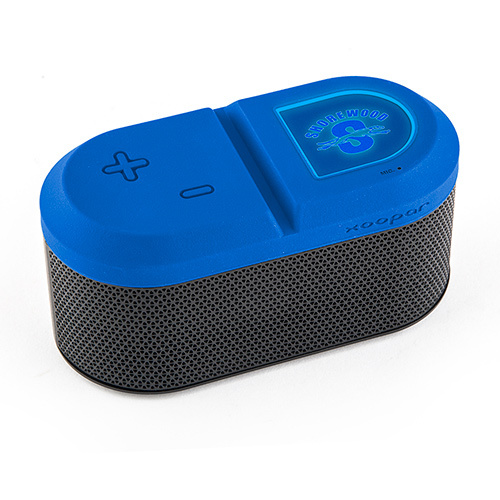 Contemporary designed black mesh capsule shaped Bluetooth speaker with bold color silicone cap accent. 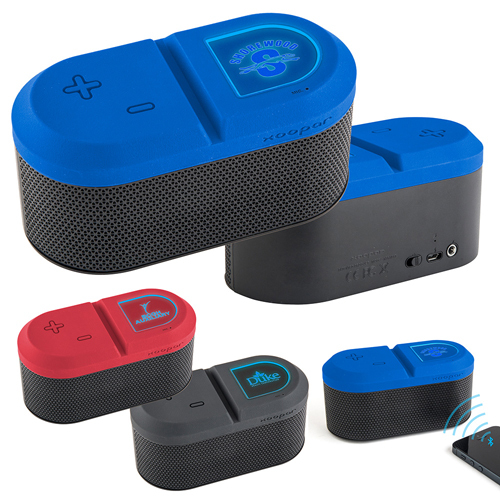 ABS Bluetooth speaker has a light-up logo feature, Built-in rechargeable Li-Polymer battery, Microphone for speaker feature, ON/OFF button, Volume control button, Up to 4 hours of play time, 3.5mm audio cable and charging cable included. 2-1/2"h x 5-1/4"w x 2-5/16"
Bulk / 24 lbs / 20 pcs.